Superman III is one of those movies that is really hard to pin down. It’s not good, but it’s not terrible, either. I can’t fault it for daring to try something new and be really creative. I liked the movie when I first saw it as a kid, but over the years I heard all sorts of negative things about it, and I came to think that it was a total letdown, especially after the soaring successes of the first two films in the series. But I recently gave Superman III another chance to win me over, and I was surprised by how much I found myself enjoying it. 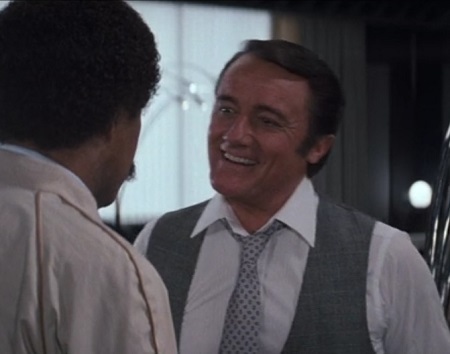 Here are 11 things I’ve come to like about Superman III that I hadn’t liked about it before. 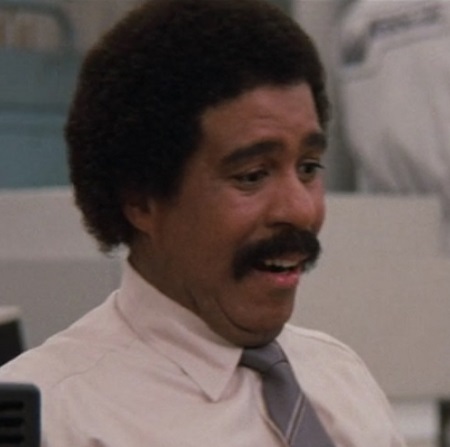 Richard Pryor’s goofy performance as a brilliant computer programmer who’s in over his head used to annoy me. He didn’t really have a lot of memorable lines, and I couldn’t relate to his plight. But for some reason, his comedic antics have started to grow on me. I still cringe during his long speech about chemicals when he pretends to be a general, but when he’s just being himself and acting like he has no clue what’s going on, he’s disarmingly charming. If nothing else, I can now appreciate Superman III for inspiring a key plot point in 1999’s Office Space. Gus uses his computer wizardry to steal tens of thousands of dollars from the company he works for by taking all of the half-pennies that it shaves off of its employees’ paychecks and filing them under his own personal expense account. Pretty ingenious. And it’s even funnier knowing how that exact same tactic was put to use by a few bumbling, would-be embezzlers at an oppressive software company years later. Lana Lang is more than just a throwaway love interest for Clark Kent and Superman. Her scatterbrained personality used to come across as bothersome, but now I see the earnestness in Annette O’Toole’s performance and I find myself enjoying her presence in this film. Maybe it’s the fact that I love the TV show Smallville, and O’Toole is a big part of selling that show’s emotional core. She just belongs in Smallville. And Ricky is more than just a kid who needs to be saved. He provides a pretty compelling problem for Lana to face as a single mother in a small rural town where everyone knows each other. And he also helps Superman at a moment when no one else could have reached him. He speaks for the child in all of us as he calls on Superman to get out of his slump and be great again. For a movie in which computers are able to control the weather and make the red and green figures in crosswalk signals fight each other, there’s surprisingly very little in the film that makes me ask, “Why is that happening?” Everything that happens in the film is very well set up and paid off. Why is Jimmy Olsen so eager to put himself in harm’s way during the chemical fire? Because Perry White was so disappointed that he missed a golden opportunity to take pictures of Superman saving someone earlier. Why does Lana decide to take a trip to Metropolis? Because Clark told her he thinks she’d do well in a big city. Why is Gus afraid to fly into a valley? Because he accidentally skied off the top of a skyscraper. I’ve heard some people complain that the film has too many storylines, but I don’t see it that way. I like the fact that the film takes the time to provide reasons for everything that happens. Imagine if Superman III was just full of random events with no explanations or purpose. Now that would have been a disaster. The first two Superman films kept upping the ante on their flying sequences. First, we saw Superman saving people and planes from falling, then we saw him racing as fast as he could to prevent disasters, and we finally got to see him trying to outrace other Kryptonians. Superman III found a way to up the stakes even more. Now we get to see Superman dodging hundreds of missiles. The moments when we see Superman flying in what looks like an Atari game kind of undercut this scene and keep it from being as epic as it should have been. But it’s still fun, and it’s unlike anything that’s come before or since. My favorite moment is when Superman kicks one missile into several others. So awesome. As I noted at the start, Superman III is its own thing. It doesn’t try to recreate the flying sequence with Lois Lane or the grand fight between Superman and the three Kryptonians in Metropolis. Superman IV did that. 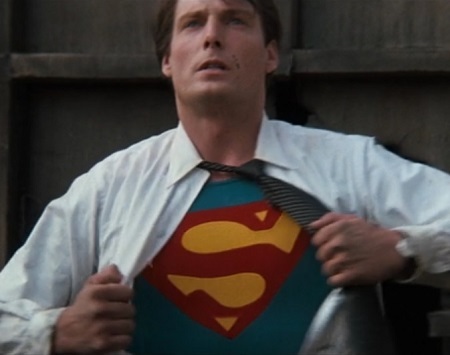 Superman III made a lot of creative choices, finding new challenges for Superman to overcome. I admire it for being different. Most of its choices don’t work as well as the first two films, but it’s fun to see it attempting to go in a new direction. A smart Miss Tessmacher? That’s pretty clever. Going along with the idea that this film isn’t repeating anything that came before, it gives us a new twist on the villain’s ditzy female sidekick. 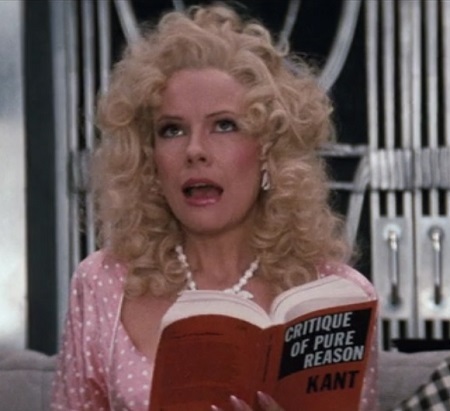 Lorelei pretends to be a brainless bimbo, but she’s actually brimming with brilliance. I don’t know exactly why she hides her intelligence, but it hints at the fact that there’s more going on with her character than everyone gives her credit for. Which makes her that much more interesting. When Superman turns evil, his costume changes, too. It looks grimy and unclean. Since Christopher Reeve’s Superman graced the screen, no one has been bold enough to put a page-perfect incarnation of the character in a movie. They all feel compromised in one way or another. The reds or blues are darker, making Superman look a bit more somber or even sinister. Where are the bright blues, yellows, and reds of the real Superman? All of those other versions of the character come across as more depressing and less fun than the Man of Steel is supposed to be. I keep waiting for them to pull open their dress shirt and reveal the bright Superman shield underneath. But alas, that grand moment is reserved solely for this film. Ross Webster is not just a Lex Luthor stand-in. He has many faults, and none of them are in California. He has his own style, clever witticisms, personal obsessions, and evil master plan. Watching him smoothly manipulate Gus and other people around him is a lot of fun. He may not be as menacing as Gene Hackman’s pitch-perfect Luthor, but Webster is a genuinely fun villain. This one gave me nightmares as a kid. 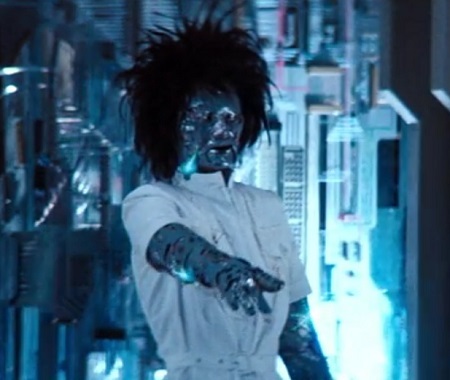 Webster’s sister Vera gets pulled into a giant computer, and she has all kinds of circuitry attached to her body, transforming her into a malevolent robot. It only lasts for a minute or two, but her freaky demeanor and soulless, unstoppable powers make her extremely memorable. Now that I’m not afraid of her anymore, I can appreciate her as a mechanical marvel. 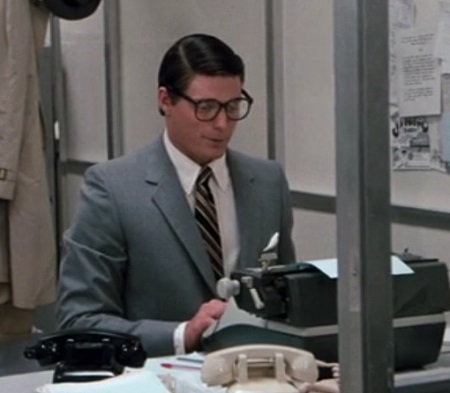 And finally, we get to see Clark Kent write an article in his office! What a novel idea. We even get to hear him describe his melancholy experience going back to Smallville in his own words. It’s a brief moment, but Reeve’s acting infuses it with real pathos. It’s odd that we never get to see much of Clark hammering out articles. He does have plenty of other important things to do as Superman, but it’s nice to see his job as a reporter and the film’s plot collide just once. There’s a lot to like about Superman III. It’s by no means a great movie, but it’s worth watching and perhaps even revisiting on occasion. By the way, I still loathe the opening montage of slapstick comedy on the streets of Metropolis and I already loved the fight between Clark Kent and Superman, which is why they aren’t on this list. 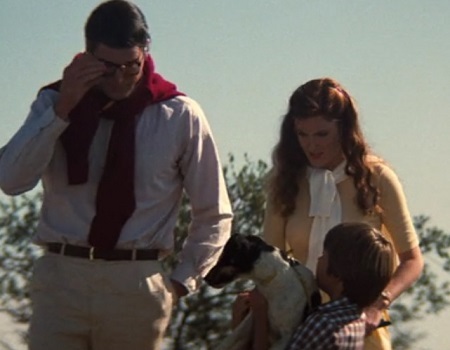 Lois Lane was so right when, at the end Superman II, she noted that Clark was “a tough act to follow.” There was no way Superman III was going to come anywhere close to topping that amazing sequel. But I have to admit I’m glad this film was made because it has a certain charm that I’m finally beginning to see. No super-vision required. This entry was posted in Movies That Improve and tagged 1980s, action movies, comedy, comic books, movie review, movies, science fiction, sequels, superman. Bookmark the permalink. I still can’t get behind Gus Gorman (who is basically Jim Carrey in Batman Forever in this movie – an unfunny presence that has way, way too much screentime), but I’m glad you pointed out how much good stuff is here. The junkyard fight is one of the best action scenes in the series, the love story with Lana is charming and a nice change of pace from Lois, (I love Lois’ look of jealousy at Lana’s ring at the end) and Reeve gives it his all as always. I also really like that it continues the tradition of Superman using his brain to save the day instead of just his strength (here by tricking the machine with the “harmless” acid, even though yeah I’m sure Superman could have found 100 other ways to destroy the machine). 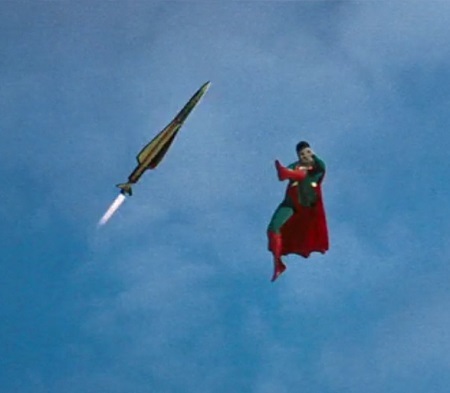 Even Superman IV has him thinking outside the box and defeating Nuclear Man not by sheer punching power but by creating an eclipse- Superman’s smarts is unfortunately something the new Superman movies forgot about. I totally agree with you on all counts. Yeah, Gus isn’t the most likable or interesting character. I do get annoyed with him quite a bit, but I finally am able to empathize with his plight a little more, for some reason. I love what you said about Superman using his brain to defeat the computer and the fact that that’s exactly what was missing from Man of Steel. I kept waiting for Superman to turn the tables on Zod and do something clever, but he never did. It’s amazing that a big, expensive blockbuster can make me pine for the days of limited special effects when filmmakers were forced to work around their limitations.